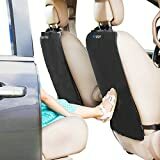 Whether you are planning a road trip with your babies or your pet, you can use the best car seat protector for leather seats to protect your car seats from spills, scratches, stains, etc. Like all other interior car accessories, the car seat protector is an important car accessory that you cannot afford to ignore. 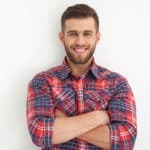 However, there are several car seat protectors for leather seats on the market, and it’s not easy to pick the best one. In this guide, we’ll discuss the best car seat covers for leather seats in detail. We’ll also help you identify the best car seat protector for leather based on hands-on testing and market research performed by our auto experts. 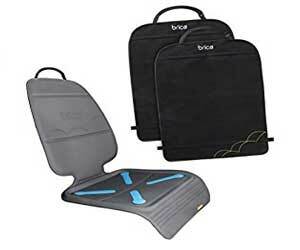 Brica Seat Guardian Car Seat Protector can be a perfect choice for car owners with babies. With Brica, you don’t need to worry about compressions, scratches, damage, stains, and spills. Once you position the seat protector on the leather seat, it won’t slip. The slide-proof construction can help a great deal in protecting your baby. Whether you have a rear-facing baby car seat or a front-facing one, the protector’s high seat back coverage and extra high back panel will come to your baby’s rescue. To further ensure your baby’s safety, the car seat protector comes with a detachable headrest strap to secure the back panel of the seat protector to the headrest of your car. Talk about the fabric of Brica Seat Guardian Car Seat Protector and our expert simply loved it. The Grime-Guard material prevents moisture and dirt build-up and makes it easy to clean the seat protector. In the case of a spill, all you need to do is simply wipe the seat protector with a damp cloth. 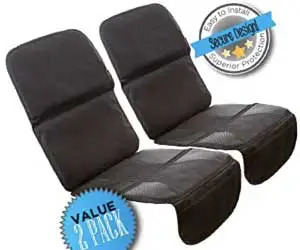 The seat protector comes with sturdy grips on both sides to prevent the seat protector from slipping over the seat surface. To test the product thoroughly, we hand-washed it and were delighted to see what the seat protector did not bleed; thanks to the color-safe construction. 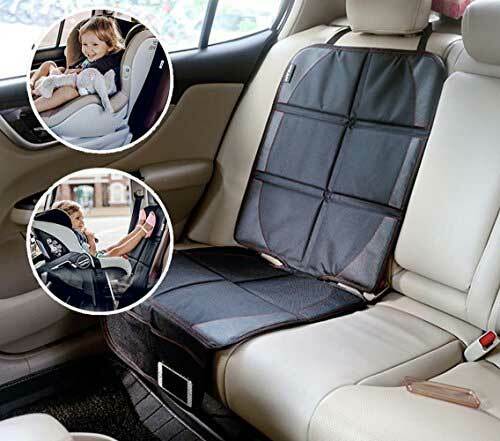 If you’re looking for a car seat protector for leather seats with equal distribution of style and resilience, it has to be the Lusso Gear Car Seat Protector. It will provide the seats of your car with a grand look and protect your car’s upholstery no matter what. With Lusso Gear, you can conveniently bid goodbye to spills, scratches by pets, mild and tough stains, and a lot more. The car seat protector is made of superior-quality PVC leather and is water-resistant. The underside of the car seat protector is heat-resistant. As of now, the product is available in black color only and comes with extra padding to ensure comfort during long traveling periods. There are 3 built-in pockets to store your belongings such as keys, mobile phones, toys, papers, and a lot more. If you’re worried about the car seat protector slipping or sliding, don’t be; it comes with a headrest strap to secure the product to the headrest of your car’s seat. The anti-slip dots on the seat protector also add to the anti-slip functionality. And, lastly, the car seat protector is backed by a 1-year money back guarantee. The Dinkanur Car Seat Protector comes with a slim waistline backrest and is made of good-quality PU leather. The material also contains some element of activated Bamboo Charcoal to make it firm. The non-slip rubber sole makes the car seat protector suitable for baby car seats. It is easy to install, and you don’t need any professional installation help. Not only this but you also don’t need to remove the original cover of your seat. Simple unpack the product and place it on your car’s leather seat to protect it from spills, scratches, stains, etc. However, Dinkanur Car Seat Protector does not come with universal compatibility. It’s only available for specific car makes and models. Especially if you have a small car, you may need to confirm the compatibility of the product with the manufacturer before purchasing it for your car. All in all, the car seat protector is suitable for most vehicles with reserved opening holes. 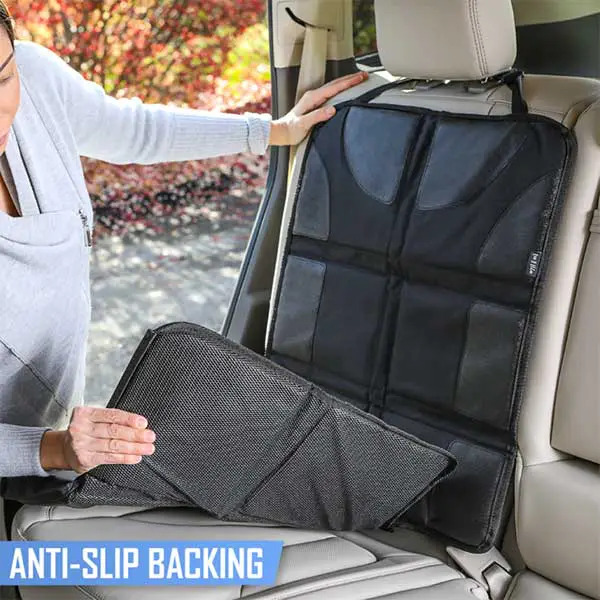 Unlike many other car seat protectors that extend to the sides of the seats and interfere with the side impact airbags, the Dinkaur Car Seat Protector is absolutely safe to use with side impact airbags. The Zohzo Child and Infant Car Seat Protector is perfect for those of you who’re looking for complete protection for their car seats. The seat protector comes with raised edges or “Spill Catcher” to protect your car seats from sudden spills. The wide, reinforced design can provide 360-degree protection for your vehicle. The double-padding using high-density foam prevents denting from securely installed baby car seats. To test the product, our experts tightly installed a baby car seat and were surprised to see no indentation after 2 hours of use. 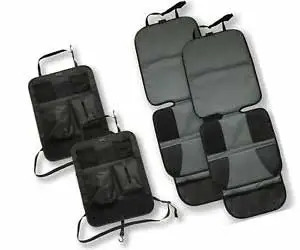 When it comes to safety, the seat protector is tested for crashes and secures to the seat in 3 ways – the adjustable headrest strap, the security pad flap, the 2-sided traction grip. What’s even better – the car seat protector is compatible with all car makes, models, and latch systems. All in all, Zohzo Car Seat Protector is waterproof, heatproof, dent proof, stain proof, heat and sunlight resistant. It comes with a color-safe construction, so it does not bleed on washing. Since it is a GrimeGuard seat protector, you can wipe it with a damp cloth as soon as your child creates a mess. Emma + Ollie provides buyers with a value pack of 2 car seat protectors with 2 five-pocket kick mat organizers. Both pairs are made of a water-resistant and durable material that keep water spills away from your cars’ interiors. The products are suitable for all car makes and models and can be easily machine washed. The car seat protectors come with a thick padding, heavy-duty construction, and a non-slip back material. The five-pocket kick mat organizer can be used to store baby essentials such as diapers, feeding bottle, extra pairs of clothes, etc. Do car seat covers protect leather seats? Do kids car seats damage leather seats? 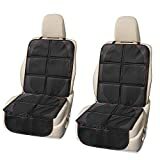 Is it safe to use seat protectors under car seats? Can you put seat covers over heated leather seats? What is the best car seat protector for leather? Yes, car seat covers protect leather seats against spills, scratches, stains, and harsh sun rays that can cause cracks in the material. A properly installed kids car seat won’t damage the leather seats of your car. However, a tightly installed kids car seat can lead to indentations on the leather seats. No. You shouldn’t install anything under the car seat. The seat could slide, and that’s risky. The safety of car seats is way more important than protecting your leather seats. Yes, absolutely. 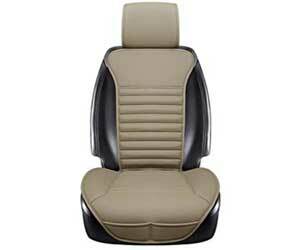 However, make sure the seat cover is made of a material that does not get damaged by heat. Putting ordinary seat cover overheated leather is not recommended. Make sure the seat cover you choose is heat-resistant. Now that you’ve gone through our list of 5 best car seat protectors for leather, what’s your take? Have you been able to identify the best one for your car seats? If you ask our experts, they would recommend Lusso Gear Car Seat Protector with Thickest Padding. The product has been rated high by existing customers and is worth all the appreciation. It’s most reasonably priced for the high-quality PVC leather and extra-comfortable padding. 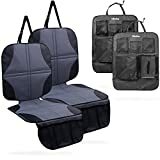 Before we move on to the nitty-gritty of buying the best car seat protectors for leather, let’s look at the type of seat protectors on the market. 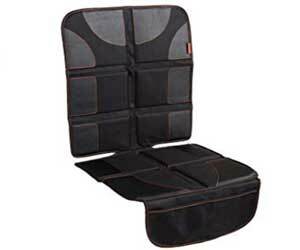 Universal car seat protectors can fit all cars, irrespective of the make and model. If you’re overcautious about the fit, you can get the seat protectors altered at your end. So, all in all, you can buy universal car seat protectors without worrying about anything. If you’re very particular about the fit of car seat protector, you can order customized car seat protectors for the make and model of your car. However, custom-fit car seat protectors, especially for leather seats are somewhat expensive. Semi-custom car seat protectors are more reasonably priced than custom-fit car seat protectors. However, there’s not much difference between the two. When it comes to the best car seat protector for leather, you’ll find a plethora of options on the market these days. And, they don’t make life easy; they make it more confusing. There are different designs, materials, prices, and so on. Therefore, it’s important to know the factors you should consider when looking for the best car seat protector for leather car seats. Since the car seat protector is a multi-purpose car accessory, you need a protector that’s made of superior quality and durable material. You need something that can withstand wear and tear, and last long. The best car seat protectors are made of soft plastic, leather, vinyl, rubber, and neoprene. Also, make sure you choose car seat protectors that are waterproof, sturdy, and don’t bleed easily. They should also be dense enough to withstand scratches made by your baby’s car seat carrier. You don’t want a car seat protector that comes off as soon as your baby jumps on it, right? So, if you have a baby or child onboard, make sure you buy car seat protectors that stay in place and don’t slide, especially when your car is en route. Also, make sure the product is crash-tested by the manufacturer. You may not find it important, but the design and pattern of the car seat protectors speak volumes about their quality. The design provides you with a glimpse of how much thought has been given to make the product a great one. Car seat protectors with right cut-outs are easiest to install. To enhance the aesthetic appeal of your car interiors, you can pick grey or black car seat protectors. Most car seat protectors for leather seats are waterproof, and the ones that are not waterproof are water-resistant. For mild stains, you can do spot cleaning, and for tough stains, you can gently handwash the car seat protectors. Nevertheless, don’t forget to check the washing instructions. Some car seat protector brands allow machine wash too. While you may find car seat protectors in different price-ranges, most of them are fairly priced and affordable. Even the high-end car seat protectors are priced between $30-$40. If you’re on a shoestring budget, you can even find car seat protectors priced at $15 or lesser. However, it’s important to remember that a high price is not suggestive of high-quality. Last but not the least, consider the return policy and warranty of the product. Both factors are added protection to your purchase.